On March 14, at 10:00 everywhere, students across the country participated in a school walkout. Some faced suspension from angry school administrators, others had small numbers as they were in a conservative district, and still others risked themselves because of unsafe neighborhoods around their schools. They walked out for 17 minutes to honor the 17 students killed at the Marjory Stoneman Douglass High School in Parkland Florida. The march was one month after the shooting. They demanded gun reform and mental health reform, carried protest signs and chanted, and made sure gun reform stayed in the political conversation. 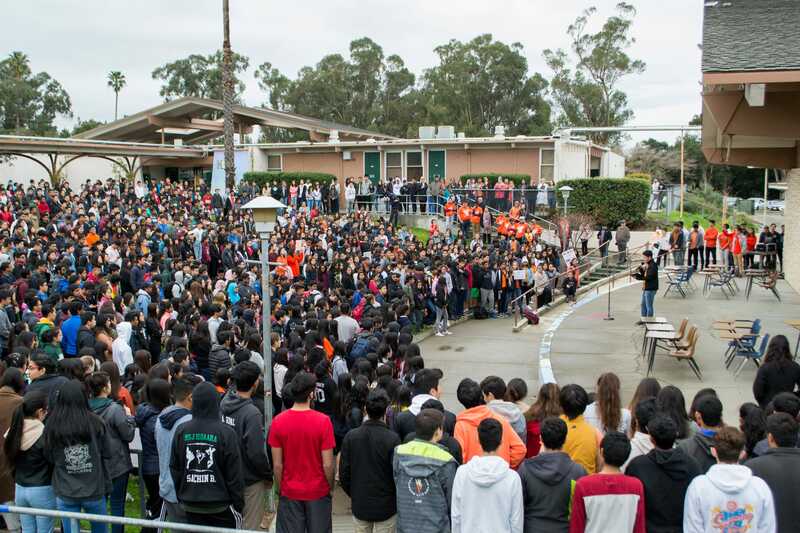 At our school amphitheater, we had speeches and held a moment of silence for the ones lost. The school I go to is no exception. Including many of our teachers and me, nearly 2000 students turned out for the walkout. Our parents planned a rally alongside us. They gathered on the same day and time as us. Conservative media did their best to fight back. They posted examples of conservative students who were anti-gun control and spread misleading reports of students who were punished for not walking out. First, the vast majority of young people support gun control. Second, the student who was punished for not walking out refused to go to the study hall where everyone else was because he was afraid that people wouldn't like him. He effectively ditched school and refused to listen to administrators, so his suspension was more than justified. Other conservatives said that kids are uninformed and that their opinions are worthless. In the spirit of this blog, I say exactly the opposite. The rallies were a brilliant political move. It made sure guns stay in the national conversation. Gun control advocates note the media acts like a goldfish in a bowl, constantly changing the topic every week. This makes it nearly impossible to keep an issue in the public consciousness. When students planned these rallies, doing them simultaneously and loudly, they made sure gun control remained a topic of public discussion, putting pressure on right-wing congressmen who hoped the issue would go away before the midterms.